It’s been kind of a long two weeks on the adoption front. As the euphoria of our decision to adopt has waned, reality has set in a bit. I have begun to wonder about different things, and worry has tried to take over. I have desired to hold our little girl, and sadness has overwhelmed. I have tried to carry on normally, not sharing this burden with my beloved, and I have drawn in on myself in quietness and isolation. Last Saturday I finally confided in him what I was feeling, the fears, the emotions, the concerns. He echoed all of them and understood. He felt many of the same things. Just talking with him about these things, I felt lighter, more joyful, more at peace. I’m not at all sure why I felt I needed to protect him from what I was feeling. Sunday my mind began to imagine having her in church with us, me holding her as the congregation sang in worship together. It was all I could do to hold back the flood of tears. 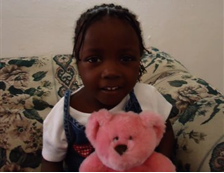 We learned last week that it could easily be 18 to 24 months to bring her home after our paperwork is submitted to IBESR in Haiti and that can’t happen until after Matt is 35. At the end of December. I found out her birth date yesterday. Such a gift! One of the things I wasn’t sure we’d ever be able to know. She will be four this month (four is one of my favorite ages!) and we will celebrate here in some way. But, based on the time line we were given last week, she could easily be seven before she comes home. There’s a big difference between a four year old and a seven year old. And I am sad that I will miss out on some of my favorite years. Adoption brings it’s own sort of grieving, I guess. We plan to send in our agency agreement tomorrow. I am thankful we are able to do this. Thankful for this journey God has placed us on. I know that He will see us through harder times than the past two weeks and all the timing is in His hands. I trust Him entirely. He is faithful. goodness, you about made me cry! aww, she’s adorable. I’m praying for you. I just found out this week that a good friend here was matched with their little girl in Haiti! I know it’s a long wait, but God will give you strength and a growing love for her! BLessings! I’m continuing to pray for you (and your family) as you walk through this process. I’ve been so touched by all that you’ve written. Praying for your precious daughter too.